In this blog, I will provide some references and background information for the first four videos of the series. Although the topic of this blog is the SAP HANA platform, it is not restricted to the platform edition. There are several editions currently available, enterprise edition, express edition, to name but a few. They are further enhanced by options and “additional capabilities” which are available when licensing SAP HANA. Sometimes editions cover different products bundled with the SAP HANA platform. For example, the enterprise edition includes SAP Data Services and SAP Landscape Transformation Replication Server, both very distinct technologies from SAP HANA. Other editions, like the spatial edition, license a component which is part and parcel of SAP HANA – you cannot add it nor take it away. Before spatial was bundled with something else to become an edition, it was licensed as an option. In other words, there is no clear-cut division between editions and options. The Product Availability Matrix (PAM) provides information about (release-to-customer) availability dates, maintenance end dates, upgrades and technical release information (supported platforms). Very conveniently, PAM also includes links to the Certified and Supported SAP HANA Hardware Directory, the SAP HANA Platform documentation on the SAP Help Portal together with the most important guides, important SAP Notes, and even direct links to SAP Software Download Center. For this reason, the PAM is a great place to get your bearings before attempting to install SAP HANA software. This is the topic of the first introductory video. There are several Installation and Update Guides available for SAP HANA – server, studio, client, Web IDE, cockpit – but also an impressive list of SAP Notes – Central Note, Platform Release Note, Database Release Note – and additional documentation, like the SAP HANA Master Guide, the entry point for planning the installation. If you just get started, it can be a bit of a challenge finding your way around the different guides and notes. In the second tutorial video, we provide you with an overview of what you need to know. To download SAP HANA components you need access to the Software Download Center (SWDC). Here you can find both the mayor releases – for SAP HANA referenced as Support Package Stack (SPS) – and the intermediate or minor versions, labeled revisions. If you are new to the SWDC, finding your way around at times can be a bit challenging. For example, searching for ‘SAP HANA’ returns 7010 entries. In the third tutorial video, we show you how to navigate the SWDC. Spoiler Alert: using PAM this turns out to be actually extremely easy. 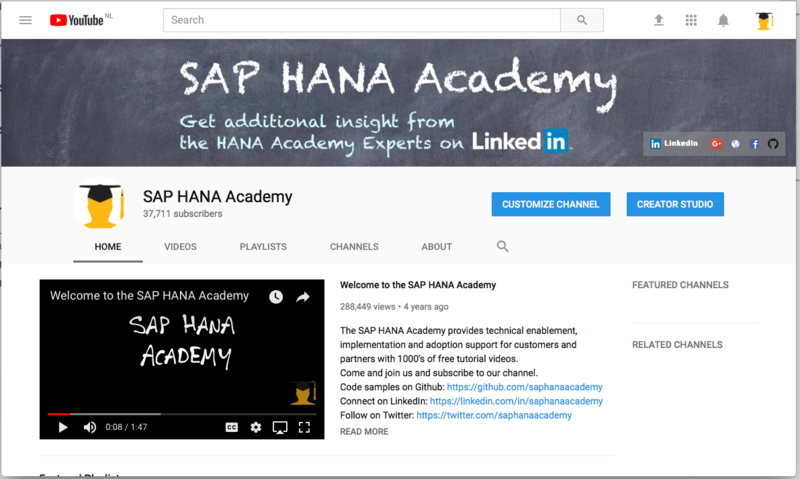 In the last video, we get hands-on with PAM and SWDC to download the latest major release, SAP HANA 2.0 SPS 02 (revision 20) together with the latest update for the database component, revision 22. For this, we will be using the SAP Download Manager. 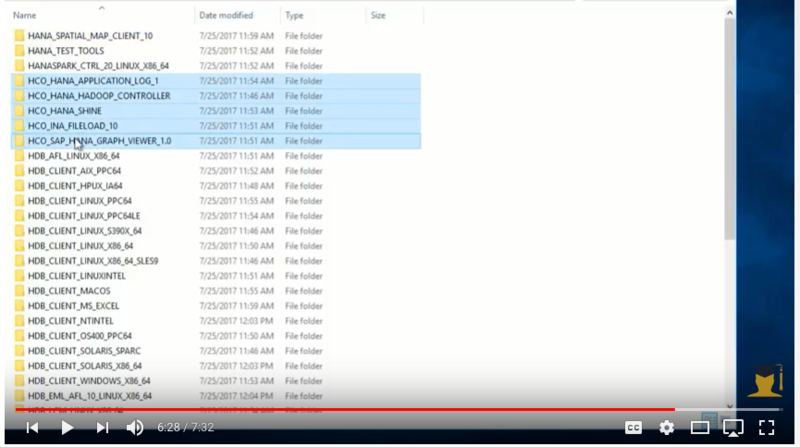 The activity is performed on a brand new Windows client computer instance running in Microsoft Azure, so you get to see each and every step that you need to perform, including extracting the multi-span RAR set, and an explanation of all the different software components. The best things in life are free, yet there is no such thing as a free lunch. For SAP HANA, you can download the client from the SAP Developer Community Trials and Downloads page. This will redirect you the SAP HANA Store where the actual download is available. The SAP HANA studio is another component that can be downloaded free of charge. Just install the Eclipse IDE and add studio as an Eclipse plug-in. How to do this is covered in a video tutorial recorded earlier for the SAP HANA express playlist.